At BAXT CosMedical®, we are pleased to offer our patients a wide selection of Restylane® facial injectables, including the new generation to the Restylane® collection of advanced and long-lasting facial fillers, Restylane® Refyne, Restylane® Defyne™ and Restylane® Lyft. The Restylane® line of hyaluronic acid fillers provides excellent results by smoothing away facial wrinkles and folds. These products are the latest FDA-approved products designed to help smooth out wrinkles, smile and laugh lines on your face. 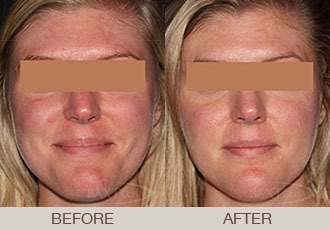 What Areas of the Face Can be Treated With Restylane® Products? The most common areas for injections of dermal fillers is in a man or woman’s nasolabial folds, often referred to as facial “parentheses” in the wrinkles and creases. Restylane® Refyne and Restylane® Defyne™ are specifically designed to help correct these lines. Additionally, Restylane® Defyne™ and Restylane® Refyne clinical trials demonstrate that they are the only fillers on the market to help maintain natural movement and expression! Restylane® Lyft is used for deep creases and folds in the cheeks and correction of age-related midface contours. What Area Some of the Newer Restylane® Products Offered at BAXT CosMedical®? Restylane® Defyne™ is a specially formulated hyaluronic acid dermal filler made with the XpresHAn Technology™ formula. This patented technology cross-links the gel to help support your natural facial expressions. Restylane® Defyne™ is FDA-approved. Restylane® Refyne also uses a specific formula of hyaluronic acid made with XpresHAn Technology™. This cross-linking supports a person’s natural expressions as it helps maintain natural movement when you’re frowning, smiling or pursing your lips. Restylane® Refyne is FDA-approved. Restylane® Lyft, formerly known as Perlane-L®, is FDA-approved for deep creases and folds in the cheeks and correction of age-related midface contour deficiencies. Restylane® Lyft is also now FDA approved to correct volume deficit in the back of the hands. How Soon After My Restylane® Facial Filler Treatment Will I See Results and How Long Do the Results Last? The procedure is quick and it is done in the office with only slight discomfort. After the injection of Restylane® Refyne, Restylane® Defyne™ or Restylane® Lyft you will notice some slight swelling. With the explosion of the demand for non-surgical facial rejuvenation using advanced facial fillers, many physicians and nurses are taking weekend courses on where to and how to inject dermal fillers. There is a lot of artistic vision to injecting a dermal filler. You want a very experienced and properly trained injector, not someone who takes a weekend course, or injects in a salon, gym, or in homes. , Restylane® Defyne™ and Restylane® Refyne is an FDA-approved and is a medical procedure best performed by a licensed board certified dermatologist with expertise in the art of cosmetic medicine and NOT a nurse, physician’s assistant (PA), dentist or other type of non-cosmetic doctor.